Orchha Wildlife Sanctuary lies within the area through which Betwa River flows. It's one of the most scenic places in Madhya Pradesh. Orchha Wildlife Sanctuary is also home to few of the most endangered species in the world. Orchha, a town in the Tikamgarh District is known as few of the most visited places in Madhya Pradesh. Orchha also gets importance due to few of the most popular places that exist within it, including the Orchha Wildlife Sanctuary. Orchha Wildlife Sanctuary lies within the area through which Betwa River flows. It's one of the most scenic places in Madhya Pradesh. 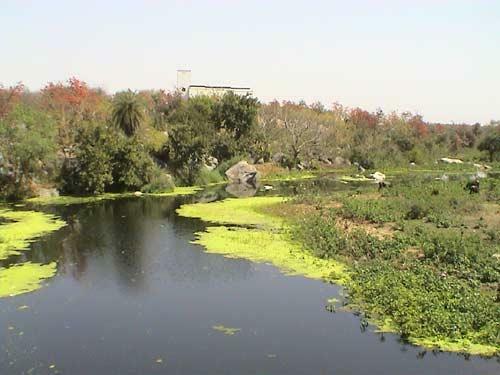 The river water of Betwa forms one of the main sources of water for the wildlife living within. Unlike other vast wildlife sanctuaries, Orchha Wild life Sanctuary is comparatively smaller, around 25 kms long and 15 kms wide. It covers an area of around 46 sq.km. Yet the Orchha Wildlife Sanctuary gains importance due to few factors, which includes rich wildlife, Betwa River and some dense plantations. Orchha Wildlife Sanctuary is also home to few of the most endangered species in the world. Established in the year 1994, Orchha Wildlife Sanctuary lies within huge forest which is home to few of the dense plantations of Dhawa Trees and Kardhai Trees (Anogeissus Spp). Other than the Betwa River, Jamni River too flows along the Orchha Wildlife Sanctuary. Though it can't be referred as a reserve, yet the Orchha Wildlife Sanctuary resembles a natural jungle environ which borders the Madhya Pradesh from Uttar Pradesh. The Orchha Wildlife Sanctuary appeals tourist for its solitude and natural forest ambience. Apart from Dhawa and Kardhai Trees, few other plants which contribute to the thick plantations of Orchha Wildlife Sanctuary include Teak, Palaash and Khair. Though one may not enjoy the pleasure of spotting tigers and leopards, yet one can find many interesting fauna like spotted deer, Blue Bull, Peacock, Wild pig, Monkey, Jackal, Nilgai, Sloth Bear and many such species. Watching these animals within their natural habitats is a great experience within itself. But what appeals more than anything is the Bird watching experience one gets to enjoy in Orchha Wildlife Sanctuary. In fact Orchha Wildlife Sanctuary is often referred as a Bird Sanctuary by main foreign and Indian tourists. Around 200 bird species can be found at Orchha Wildlife Sanctuary near the river ecosystem, which includes many in-house birds and various migrants from all over the World like peafowls, peacocks, swans, black swan, Jungle Bush Quail, minivet, stork, kingfisher, owls, woodpecker, geese, collared scops owls and many more. Around 200 bird species can be found at Orchha Wildlife Sanctuary near the river ecosystem, which includes many in-house birds and various migrants from all over the World like peafowls, peacocks, swans, black swan, Jungle Bush Quail, minivet, stork, kingfisher, owls, collared scops owls and many more. Apart from Bird Watching, Orchha Wildlife Sanctuary also offers many other adventure sports options including fishing, river rafting, canoeing, boating, trekking, camping and jungle trekking and hiking opportunities. 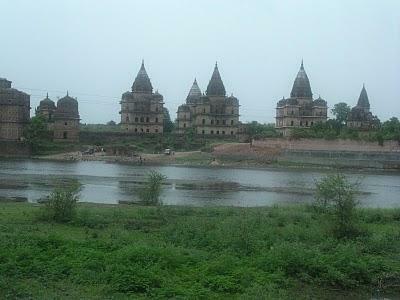 The nearest airport for Orchha Wildlife Santuary is Gwalior, around 85 km away. Gwalior Airport is well connected with regular flights from Bhopal, Mumbai, Indore and Delhi. The nearest rail head for Orchha Wildlife Sanctuary is Orchha and Jhansi. Jhansi is located around 16 km from Orchha. Jhansi is connected to major cities in India by regular trains from major cities of India. Orchha Railway Station on the other hand lies on the Jhansi – Allahabad route. One can get an auto rickshaw from Orcha Railway station to the wildlife sanctuary. By road, one can access Orchha Wildlife Sanctuary from Tikamgarh, Gwalior and Jhansi. The best time to visit Orchha Wildlife Sanctuary is from November to June. During the winter season up to the summers, the sanctuary is at its best. Visit during monsoons however is not recommended, as animals usually go for hideouts due to heavy rains. The Betwa River may also get flooded due to heavy rains following to which the sanctuary may also close down temporarily. Apart from the Orchha Wildlife Sanctuary, there are many places nearby one gets to visit. The Raja Ram Temple, Chaturbhuj Temple and Laxmi Narayan Temple located in the vicinity of Orchha Wildlife Sanctuary are worth visting. Out of these three temples, Laxmi Narayan Temple is worth visitng for its wall painting which depict the scenes from epic as well as the 1857 uprising. Another place that can be visited includes the the Orchha Fort. The Orchha Fort includes within itself Jahangir Mahal, Sheesh Mahal and Raj Mandir. Jahangir Mahal is a grand palace turned into a small archaeological museum. One can also visit the Phool Bagh which houses the Badgir Sawan Bhadon Cooling Towers. All these nearby places lie within the radius of 2 km from the Betwa River. Few other places include Sundar Mahal, 14 Chattris lining the Kanchana Ghat and Chaturbhuj Temple. All these places are so closely located to each other than one can visit them at one go. There are many resorts and hotels in and around the Betwa River which offer excellent accommodation opportunities for people visiting Orchha Wildlife Sanctuary. This includes the BundelKhand Riverside Resort and the Orchha Resort. Apart from this, one also has an option of staying in the Rest Houses located at Jhansi and Orchha, arranged by the Department of Forest, Tikamgarh. For reservations one can contact the D.F.O Tikamgarh at +91-7683-245315. Khajuraho is near by and is a major tourist attraction. Thanks for great posting.There are a few untamed life stops and havens in India giving inexhaustible degree to the nature sweetheart voyagers and courageous vacationers to fortune the excellence of natural life. Indian natural life parks and asylums are rich in their vegetation. The wild creatures and amazing landscape of thick Indian parks and asylums cast a spell in the psyches of sightseers from everywhere throughout the world. Every last natural life parks and asylums of India have its one of a kind appeal and mixture to offer its visitors. Indian sanctuaries are extremely popular among all the national parks. The perspective situation of the excellent pictures makes the viewers dazed.